Goal: Develop a science-based conservation plan that identifies key habitat and ecological processes to guide protection and restoration activities in the densely populated San Francisco Bay Area. The Problem: Rapid, haphazard development in the San Francisco Bay Area irrevocably alters key habitat before its importance and vulnerability are recognized. Science advisor: Stuart B. Weiss, PhD, of the Creekside Center for Earth Observation, provides expertise and experience needed for conservation planning and implementation. 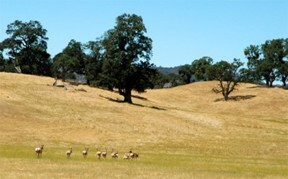 restore healthy ecosystems, while permitting compatible uses as rapid development continues in the Bay Area. 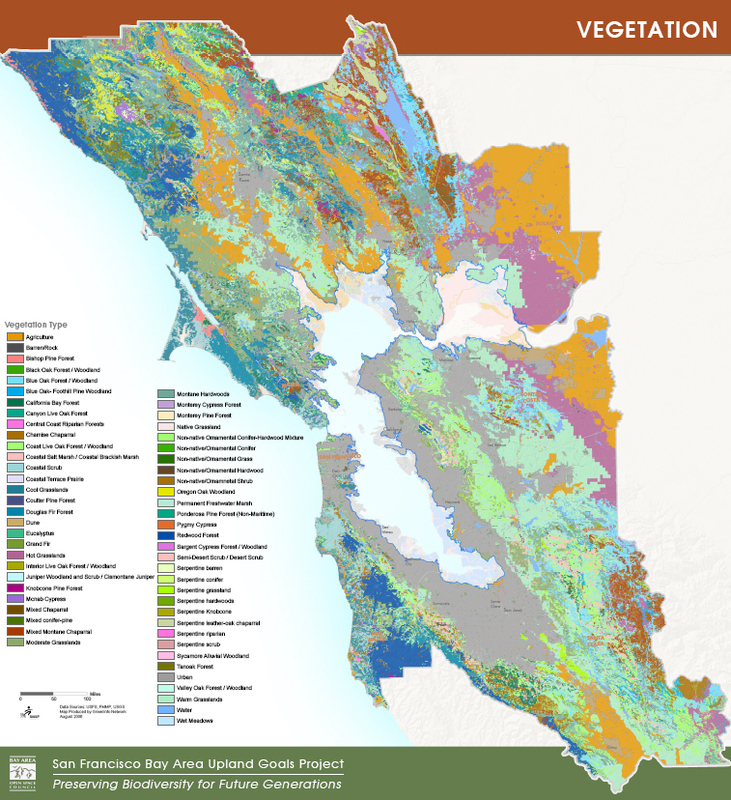 Vegetation map of the entire Bay Area, CA, created for the Upland Habitat Goals project.